"Barwara Kothi has earned a special place in the hearts of tourists because of its relentless hospitality. Those who stay in here are introduced to the real meaning of comfort and luxury. The warm staff ensures one would relax in here like they would do in the comforts of their homes. 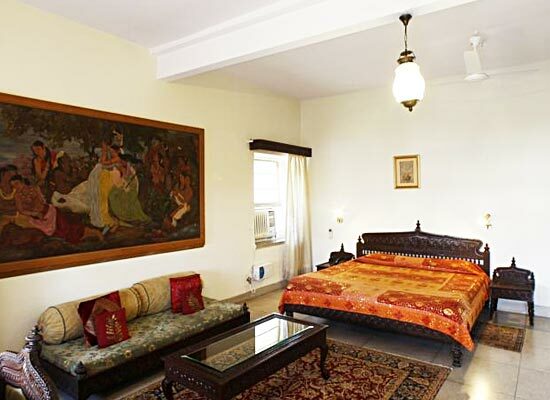 The true essence of traditional Rajput hospitality is provided here in this Kothi. For corporate tourists, this hotel with is top-rated business facilities and services, is also an ideal choice of accommodation. Barwara Kothi was built as a colonial residential villa in early 20th century by Raja Man Singh of Barwara, who was known for his role in World War II and his golf skills. The Kothi is designed to provide a unique feel of “British Raj” and transfers one back to the days of struggle of freedom. Even today, the walls are adorned with photographs and frescoes of that period. 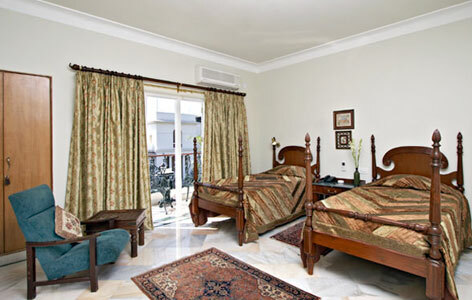 There are total of 9 sophisticatedly furnished and elegantly designed rooms in this hotel. A lot of attention to detail was given when designing the furniture in the rooms. Also the elephant headed curtain rods in every room are very charming. 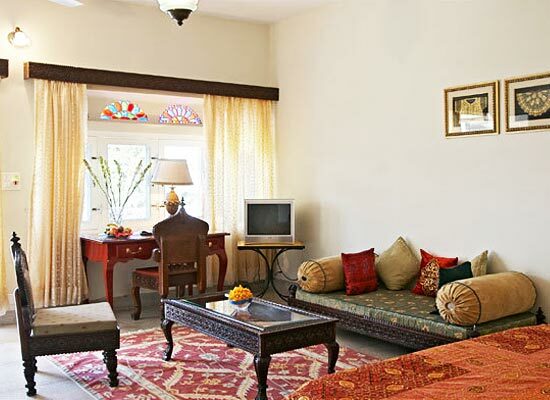 Best feature of the rooms are the large sliding windows which opens up to the lush green lawns available with well-defined seating arrangements. In all the rooms, bathrooms are designed with some of the best Indian sanitary wares. All modern day comforts are provided in every room. The dining experience in this 9-room hotel is like that of a large family dinner. 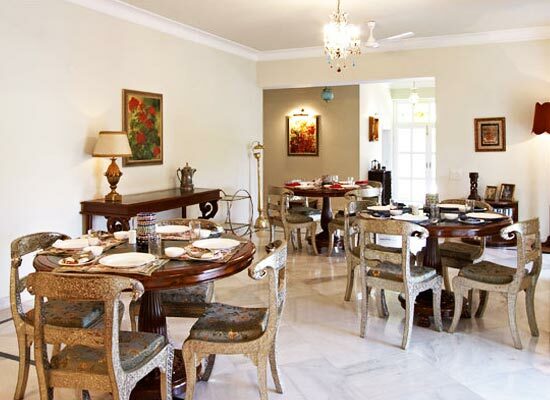 The food is prepared in the kitchen by the hotel chefs as per the requirements of the hotel guests. The chefs are very accommodating and skilled and can prepared multiple cuisines including Continental, Indian and traditional Rajasthani food. In-room dining is limited to ordering only beverages. The city of Jaipur is perhaps the most bustling city in the state of Rajasthan. Established by Maharaja Sawai Jai Singh II, on 18th November 1727, the city has one of the most intriguing histories. Today, it is a major tourist destination in the country because even after almost 250 years, the city is still replete with same-old enchanting charms of golden days. The forts, havelis and palaces that are located within every corner in the city are trademarks of the same royal culture.